So you skipped the sweltering blow-dryer and wound up with air-dried hair that's just blah. These tricks from Mara Roszak, a hairstylist with L'Oréal Paris, save the day. Play up your hair's body. Apply a salt spray, like John Masters Organics Sea Mist Sea Salt Spray with Lavender ($17, johnmasters.com), from roots to ends and put your locks in a loose braid—or a few small braids if your hair is short. Go about your makeup routine. You're finished? OK, remove the braid. 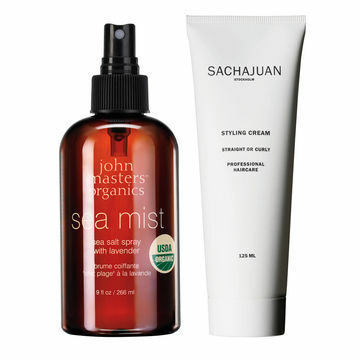 Apply a dime-sized amount of a smoothing cream, like Sachajuan Styling Cream ($29, spacenk.com), on your palms and run them gently over flyaways. Spritz a volumizer all over to create texture. 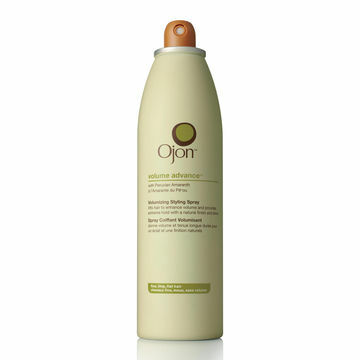 Try Ojon Volume Advance Volumizing Styling Spray ($24, ojon.com). If your hair is short, you're ready to go. If your hair is long, opt for an updo. Make a part down the middle and pick up a 2-inch section of hair from the front on one side. Twist it inward and toward the nape of your neck. With every twist, pick up another small section of hair. When you reach the back, pin and repeat on the other side. Defining your ringlets is key. Use a spray bottle of water to lightly dampen the top layers of your hair. 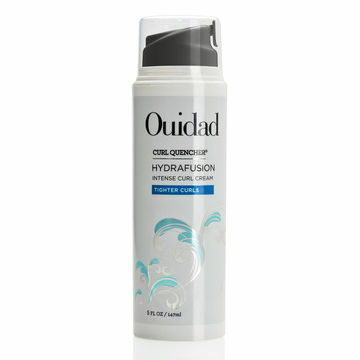 Then, dab a nickel-sized amount of a curl cream, like Ouidad Curl Quencher Hydrafusion Intense Curl Cream ($26, ouidad.com), onto your fingers and twist renagade pieces of hair around them to reshape your spirals. 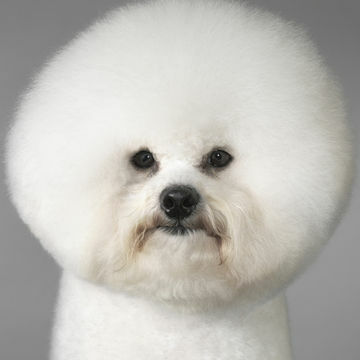 Let your hair air-dry. Now that's hot!